Starting at Wimpey Homes HQ, I moved on to a five-year stint at the Royal Borough of Kensington and Chelsea in development management, with my work being showcased in the Glass Gallery at the V&A Museum. My successes continued at the London Borough of Hackney where I initiated Shoreditch’s incredible regeneration. Currently, at Newham, I lead and direct the boroughs Planning directorate, Strategic Transport department, Building Control, and Physical Regeneration with an unsurpassed range of work. Exciting projects are everywhere from Canning Town Regeneration (12,000 homes), the prospect of new river Crossings at Silvertown and Gallions, job creating developments in the Royal Docks (25,000 plus), London’s only Enterprise Zone to town centre improvements and RIBA award winning small housing projects. Having spent most of his youth in places like Africa, Chile and Fiji, Jonathan undertook a degree in Environmental Sciences at Plymouth and a Postgrad Dilpoma in Soil and Water Engineering at Silsoe. After his studies he continued his travels by doing VSO in the Philippines and two short stints on soil projects in Papau New Guinea and Burkina Faso. Jonathan finally got his first proper job at 30 with the KCC Geotechnical Group. After two years he moved to pollution control in the KCC Waste Disposal Dept, which evolved into Waste Regulation. He joined the Environment Agency when it was formed in 1996 as the WRA was moved from the county to the Agency. He has worked on risk assessment of developed closed landfill sites, landfill engineering and environmental control enforcement on licensed sites, and a variety of contaminated land projects. Ann Barker has over 25 years of experience in contaminated land investigation and management in both consultancy and local authority regulation. As a geologist, she worked briefly for the British Geological Survey before moving into research and then into practical investigation of environmental pollution issues in consultancy, leading to a focus on land contamination. Having honed her skills in dealing with regeneration of sites as a local authority regulator, the implementation of Part 2A of the Environmental Protection Act 1990 dominated Ann’s work for several years. During this time, her knowledge was ‘certificated’ when she was awarded Master of Science for Contaminated Land Management with Distinction at Nottingham University. In her current role as Lead Officer Contaminated Land at Bradford Metropolitan District Council,Annaddresses land quality issues through the redevelopment process and economic regeneration. As Part 2A regulator she has been intrinsically involved in determining sites as contaminated land, but has also supported voluntary remediation so that Part 2A did not need to be used. Ann has used lead roles within YALPAG (Yorkshire &Lincolnshire Pollution Advisory Group, formerly YAHPAC) and previously within Environmental Protection UK Land Quality Committee to develop consistency in approach to management of land contamination and raise the profile of land quality work and local authority regulatory issues at local, regional and national level. In 2007 Ann was one of the founders of the Yorkshire Contaminated Land Forum and currently chairs the Steering Group. Ann is also a part-time lecturer at Leeds Beckett University and is on the Defra Part 2A Expert Panel. Working with a wide variety of organisations Ann has facilitated support networks, training and skills development, and endeavours to improve communications across the land quality sector. 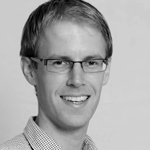 Robert is a partner in the Planning & Environment Group at Freeths LLP. He has over 15 years of experience advising on planning, highways, compulsory purchase, infrastructure, the community infrastructure levy and local government law, including on legal issues relating to brownfield risk and contamination issues in the context of planning applications. He has advised major developers, land owners, institutional clients and public authorities, principally in the retail, residential, offices, commercial and infrastructure sectors. He is a member of the Westminster Property Association, Compulsory Purchase Association and National Infrastructure Planning Association. Darren has been working at BGS for 4 years, specialising in soil geochemistry, numerical modelling and spatial decision support tools. Darren works widely across BGS as well as with external organisations, principally on projects that underpin the redevelopment of brownfield sites. He has 10 years of experience in risk-based land contamination management in the private sector. His unique blend of experience has led to a number of high impact peer-reviewed publications and externally funded innovation projects, including a current NERC Knowledge Exchange Fellowship. 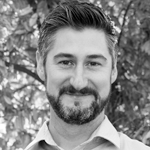 Dr. Fiachra Collins is AmbiSense Co-Founder and Chief Technology Officer. Prior to founding AmbiSense, Fiachra was a senior postdoctoral researcher based in the National Centre for Sensor Research (NCSR) in Dublin City University in Ireland where he led the technology development to bring the AmbiSense technology platform from proof of concept to commercial product phase. During this time, he was awarded numerous awards for innovation and has authored several papers published by the Irish EPA and leading academic publications. His role in AmbiSense is to lead the team overseeing the continuing technology development and regularly speaks at environmental conferences around the world. Fiachra has a Ph.D. from Dublin City University and a First Class B.E. in Mechanical Engineering from University College Dublin. 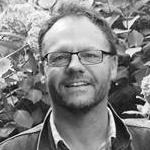 Simon is an independent environmental consultant with 18 years experience in land contamination. 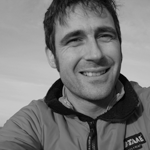 Starting out as a hydrogeologist Simon has since developed significant expertise in human health and environmental risk assessment both in the UK and internationally. He has particular interest in the use and development of models to predict contaminant fate and transport and exposure. Simon led the EIC/CL:AIRE/AGS initiative to derive soil GAC and was part of the recent CL:AIRE led consortium to derive C4SL. Simon has also been on SoBRA’s executive committee since its inception in 2009. Joe Graduated from Imperial College with an MSc in Environmental Engineering in 2000. He subsequently worked for a number of consultants in Contaminated Land (WYG, CH2MHill and RPS) until becoming a contractor in 2006. He worked for a number of remediation contractors, before joining the Keltbray Group as MD of the new Remediation division in 2013. The Keltbray Group is a group of specialist sub-contracting businesses, with a projected 2016/17 turnover of £450M, of which Remediation and Materials Management typically accounts for 5%. Increasingly, the workload of Remediation Contractors has encompassed management of asbestos in soils, which present a significant technical and commercial challenge to many projects. Joe is a Chartered Environmentalist, Chartered Scientist and QP. Angela has worked for the Environment Agency for 19 years and is a Chartered Waste Manager and a Chartered Environmentalist (SocEnv). 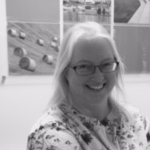 Angela has over 25 years’ experience of working in environmental management, mostly with the Environment Agency focusing largely on waste, groundwater protection and land contamination work. She started out initially with the British Geological Survey before moving into Local Government (Waste Regulation) and then into Environmental Consultancy before joining the Environment Agency in 1998. Angela was the groundwater quality Technical Specialist in the Yorkshire area for over 10 years. She is currently a Senior Advisor in the Land & Contamination Management National team focusing on land contamination issues and represents the Environment Agency at a number of industry groups and forums and has recently joined the Geological Society committee for the newly formed Land Contamination Specialist Group. Formerly Head of Land at Barratt Developments plc and now head of award-winning development company Millbank Group, Paul Higgs is a Chartered Planning & Development Surveyor with over 33 years’ industry experience who has worked on a wide range of Brownfield development projects in and around London. Millbank Group works with land owners and other stakeholders, including local authorities, to create maximum value in any development situation. This is done through a combination of creative negotiating and deal structuring, expert design, value-engineering and, most importantly, knowing how to negotiate the optimum planning permissions. Paul has also lectured in Property Development at London South Bank University, where he himself studied Estate Management at the beginning of his career. 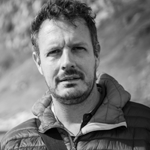 In 2013, Paul founded Millbank Land Academy to educate aspiring and experienced developers, as well as site finders, on how to successfully navigate the high-risk / high-reward world of property development. As head trainer, Paul teaches how planning and development really works, how to avoid making costly mistakes by minimising risk, and how to maximise every opportunity. Quentin’s experience stretches back over 30 years including 6 years in the United States during the 1980s working for IT Group on the US EPA Emergency Response Team and then Handex of New Jersey during which he began to specialise at an early stage in conceptual remediation system design and implementation/project management of process based remediation systems/sites. After 5 years with Dames and Moore in Bristol, Quentin decided that he wasn’t a particularly good consultant and not much of a Geologist either. With his heart in the design, build and operation of process plant, he left the consulting world in 1996 as a frustrated engineer to join Ground Remediation Systems Ltd. Developing the business initially as the first and only employee and then General Manager, Quentin built up the business until, 8 years later, the fun evaporated in the form of a corporate buy-out. In January 2004, Quentin established Cornelsen Ltd. together with Martin Cornelsen of Essen, Germany. Quentin’s expertise relates primarily to the practical application of a wide range of in-situ remediation technologies and associated aqueous and vapour treatment solutions including their design, implementation and operation as well as their capabilities and limitations. This includes the assessment of process safety through risk assessment processes such as the Hazard and Operability Study (HAZOP) and the application of process safety solutions. Anyone who knows him would be surprised if he didn’t mention the ATEX/DSEAR regulations. Quentin is still having fun. 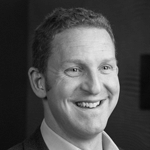 Gareth is the Managing Director of Regenesis in Europe, in which role he manages a dedicated team of in situ remediation specialists to provide the design and implementation of remedial solutions for environmental consultants, remediation contractors and end-users. Gareth has worked in the remediation industry for more than 15 years, initially asa Senior Project Manager at a remediation contracting firm. He then joined Regenesis as the District Manager for the UK and Scandinavia, where he provided over 3,000 project designs, and assisting in the successful implementation of more than 1,000 projects. Prior to this, Gareth worked as a Senior Drilling Fluids Engineer in offshore oil exploration. Gareth holdsa BSc (Hons) in Geology from the University of Leeds, an MSc in Environmental Chemistry from the University of Northumbria at Newcastle and a Certificate of Technical Competence (4TMHCL). Gareth has extensive experience of traditional, process-based and in situ remediation techniques including building and managing the UK’s first steam enhanced recovery system. Hugh Mallett is a Chartered Engineering Geologist with a wide variety of professional experience gained over 35 years in the UK, Europe, the Middle East and Africa. This includes over 20 years of experience of contaminated land investigation, risk assessment and remediation of sites affected by ground, groundwater and ground gas contamination. Hugh has a wealth of diverse experience of due diligence audits and investigations on both active businesses and derelict sites prior to acquisition or divestiture (including light industrial estates, chemical works, dye works, paper mills, Ministry of Defence land etc). This work has been carried out on behalf of a wide range of private sector clients as well as for central and local government. Hugh has lead multidisciplinary teams of contaminated land specialists in the investigation and assessment of a wide range of contaminated sites, delivering remediation solutions which mitigated environmental risk and enabled successful redevelopment. Hugh is the author of several best practice guidance documents for the industry. He has acted as an expert witness in legal cases on several contaminated land sites and is a regular guest lecturer on contaminated land at several universities including ImperialCollege in London. Dr Cecilia MacLeod has over 25 years experience working in the USA and UK on environmental issues. Her experience in the field of soil and groundwater remediation has included assessment of biosparging of hydrocarbons in a shallow sandy aquifer in New Jersey, USA to in-situ remediation of carbon disulphide in soils at a residential estate in the West Midlands, UK. As a Director at the Centre for Contaminated Land Remediation at the University of Greenwich, Dr. MacLeod was a member of a team developing stabilisation/solidification technologies and was a member of the UK Starnet Network. Since joining consultancy, she has managed a number of S/S projects and is a member of the ASTM committees D18.15 Stabilisation with admixtures and D34.05 Site Remediation. Henry is a research scientist in the Groundwater Protection and Restoration Group (GPRG) at the University of Sheffield. His research interests orientate around environmental microbiology and how molecular biological tools can be applied to this. These interests were developed through the completion of his PhD in 2015 at the University of York, in which he developed techniques to use DNA sequencing to analyse the microbial communities found in anaerobic digesters. His current research, sponsored by Concawe, explores the fate of ethyl tert-butyl ether (ETBE) in European groundwater. This project aims to develop a greater understanding of ETBE biodegradation potential and the environmental controls through the use of molecular tools. Philip is a Civil Engineer with over 20 years’ experience working for a number of Civil Engineering Contractors in a wide range of Geo-Environmental specialisms. Philip has worked on some of the largest contaminated land projects in the UK including The Millennium Dome, The Avenue and the London Olympics. More recently Philip has changed role to lead Dynasafe BACTEC Limited’s Business Development, Marketing and pre-contract team. Dynasafe BACTEC Limited are the UK’s leading unexploded ordnance (UXO) risk mitigation specialist, with the widest range of UXO risk mitigation services supporting the construction industry and MoD. Dynasafe BACTEC have been involved with over 6000 uxo projects in the last 26 years. Dr Alan Thomas is a Technical Fellow with ERM. 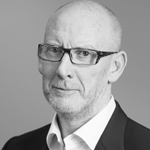 Alan has over 25 years’ experience in the management of contaminated land and has worked internationally in a large variety of industrial sectors including oil & gas, manufacturing, chemical and pharmaceutical industries. Steve is a Chartered Engineer and Environmentalist with 30 years professional experience of geotechnical and environmental engineering. 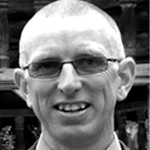 Steve has helped to shape much of the UK guidance on ground gas assessment and remediation. He is widely recognised as a leading expert in ground gas and provides advice and designs for remediation schemes on sites around the world. He has successfully applied quantitative risk assessment to ground gas for both development and Part IIA sites over 20 years. He is co-author of the Local Authority Guide to Ground Gas and was a member of the drafting committee for British Standard BS8576 on ground gas investigation. He was also a member of the research team for a recently completed CIRIA project on the verification and integrity testing of gas protection systems. Steve also presents training courses on ground gas for the Chartered Institution of Environmental Health and CIRIA. 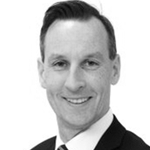 Andrew is a partner at the specialist environmental & planning law firm Harrison Grant. He is listed in the Chambers Guide as one of the country's leading environmental lawyers which referred to him as being “widely renowned as one of the most seasoned and experienced environment specialists in the sector. ….. he is "highly regarded and tremendously respected in the profession." "admired for his ability to explain issues …. in a calm and clear fashion, and having "won praise from clients for his impressive knowledge ……….. and ability to understand the technical issues involved as well as political pressures". “He is particularly lauded for his waste and contaminated land knowledge" "the grand daddy of contaminated land work” and sources note both his technical abilities and his people skills”. He is listed as a leading individual in the Legal 500 which says he has "outstanding knowledge of environmental law and excellent business acumen" “outstanding in his ability to ascertain what a client is looking for and then bring his considerable experience and knowledge of environmental law to bear”. He is Chairman of DEFRA's Contaminated Land National Expert Panel (the only lawyer on the panel) and he has also been appointed by the Minister of State to Chair the Advisory Council of UK Export Finance (ECGD). Andrew is a former chair of the UK Environmental Law Association. He has also acted as a specialist advisor to the Local Government Association on environmental law and is a Vice Chair of Environmental Protection UK's Land Quality Committee. He is a trustee of CL:AIRE. He is also Chairman of the Chartered Institute of Wastes Management Corporate Governance and Professional Ethics Committee. Andrew is a joint editor of the Law Society's Environmental Law Handbook (7th edition 2010), the environment chapter of their Conveyancing Handbook. He has written for various publications and been interviewed on television and radio including BBC News 24, the 6 and 10 O'clock news, Watchdog, LBC business news, Radio 2, 4 and 5 in relation to environmental law. Andrew was awarded an OBE in the 2012 New Year's honours list. Mr. Warner, Co-Managing Director of TRS Europe and Vice President of U.S. Operations, earned his Bachelor of Science in Chemistry from Boston University in 1990 and has worked in the environmental field for 25 years. During that time, Mr. Warner has worked with a small remediation firm and a mid to large consulting firms in various management capacities. Mr. Warner's work experience has mainly focused on chlorinated remediation and managing large portfolios of petroleum hydrocarbons sites which ranged in size from refineries, terminals and airports to service stations. At TRS, Mr. Warner is responsible for expanding and running the operations group, which includes managing 50 TRS personnel and 10-12 active ERH projects at any given time across the U.S. Mr. Warner is also involved in business development activities and client meetings/negotiations for project opportunities. In 2016, Mr. Warner became the Co-Managing Director of TRS Europe as growth continues throughout Europe.